While everybody knows how to speak, very few know how to speak so well their verbal skills become a valuable asset. Very few people are verbally skilled, especially to an extent where they can consistently persuade, influence, and charm other people. On the flip side, if you are not verbally skilled and have verbal skills that are subpar or below average, then this deficiency will undoubtedly become a liability for you in life. Subpar verbal skills, subpar life. 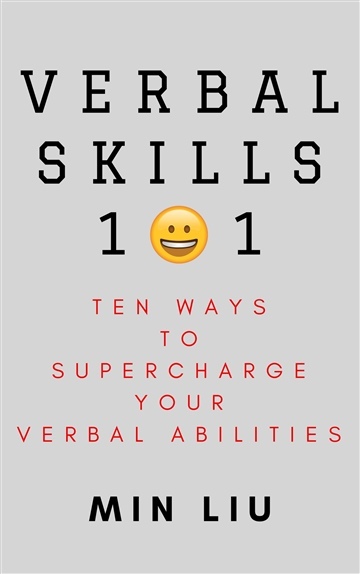 In VERBAL SKILLS 101, you will be introduced to ten high leverage verbal, communication, and social skills that you can immediately use to supercharge your persuasiveness, influence, charm, and likability. Learn all the things you never learned in high school or college English class! Min Liu is a corporate lawyer, Amazon #1 bestselling author, and the founder of The Art of Verbal War, where people learn to excel in verbal skills. Based in San Francisco, CA, Min's burning ambition is to teach like-minded people how to give their gifts and value to the world by helping them excel in verbal skills, persuasion, influence and power. In the words of his readers, he's "the big brother you've never had", and as a real-life big brother himself, his mission is to show you the ropes in all the things school never taught you.